This is a 100% honest, 100% authentic Weber Original Kettle Premium 22" Charcoal Grill review. Dadtography was not compensated in any way for this post. Now that summer is in full swing, it's time to get our (grilling) heads in the game. We're fortunate to be able to grill all year-round down in Florida, so a good grill is a must-have for us. We purchased a Weber Original 22" Kettle grill almost nine months ago. We wanted to have a lot of use under our belts before we wrote this review. 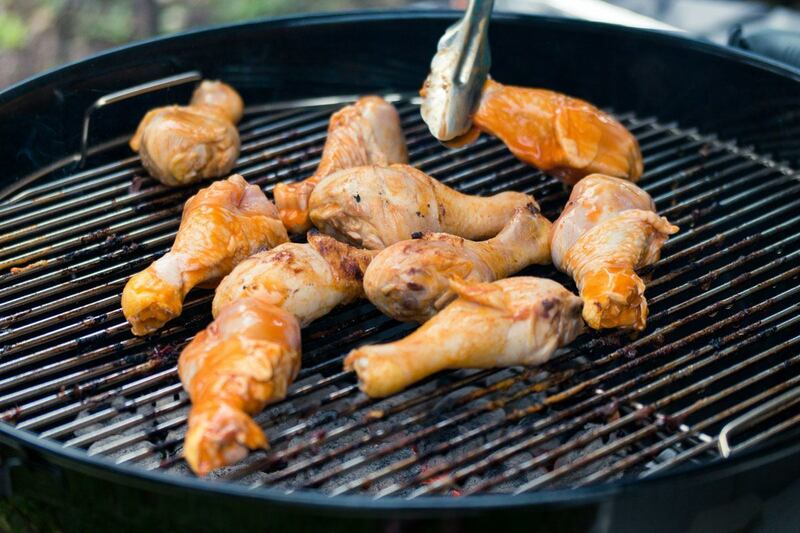 Now that the rest of the country is in full BBQ mode, I know grills will be flying off the shelves. Weber has been building grills for over 50 years now. I think it's safe to say they've become the "gold standard" in American grilling culture. 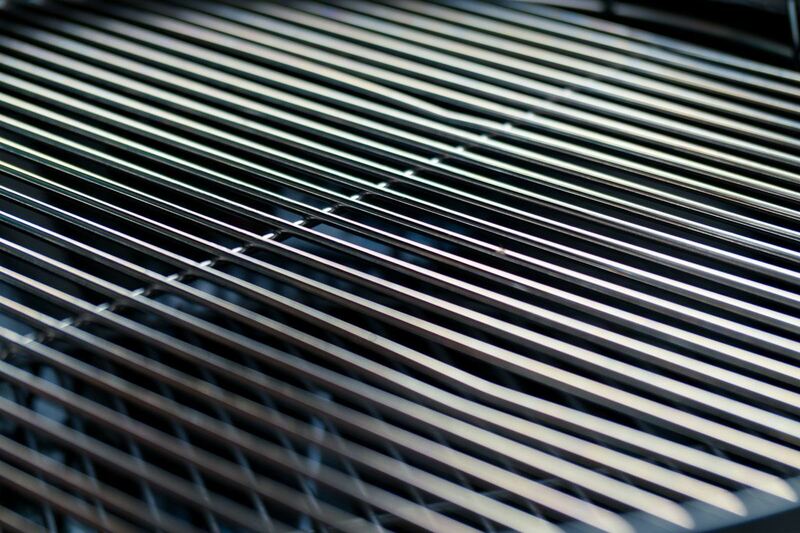 We love that these grills are still made right here in the USA, in Palatine, Illinois. We know they could have moved their manufacturing overseas and we definitely appreciate that they've stayed - and hope they stay for another 50+ years! Our Weber Original was purchased retail at Home Depot not long after this grill was released. We were replacing a lesser-expensive knock off brand's charcoal grill. Sure, you can purchase grills for less money - but let's just say you get what you pay for. If you're looking for a grill you'll have around for quite a few years, Weber has always been the brand to turn to. They've made their names in the business by producing high quality, well-designed products. Charcoal vs Gas - which is better? Ah, the age-old question of charcoal vs. gas. I'm not sure this question will ever be answered, but if you're like me and you remember growing up on dad's grilling from that charcoal flame, there's definitely nothing like it. I've owned both gas and charcoal grills in my life, and they each have their benefits and draw-backs. You can't beat the convenience of gas - just turn it on and grill away. 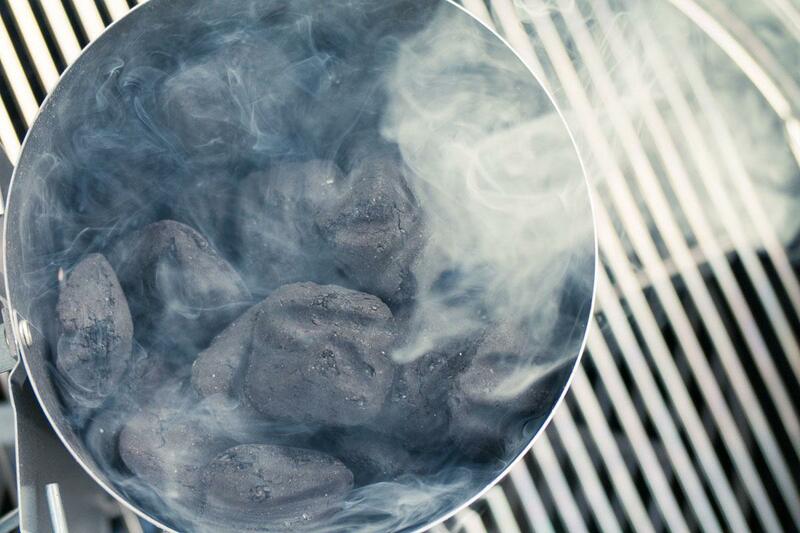 Charcoal requires a bit more patience and doesn't always cook as evenly or as predictably as gas. I still say you'll never get better flavor from a gas grill than from charcoal, so if taste is your priority, I'd definitely choose charcoal. ...if taste is your priority, I'd definitely choose charcoal. We decided to invest a bit more into our setup when we purchased our grill, so we also purchased the Compact Rapidfire® Chimney Starter at the same time. It's a relatively small investment, but well worth a few extra bucks. One of the best parts of grilling on charcoal is the flavor. You want to maintain that flavor by not having to use lighter fluid, if at all possible. The Chimney Starter helps start your grilling off right. Differences between the Original and Premium Kettle 22"
There are four main differences between the Original and the Premium models of the Kettle 22" grill. I've highlighted the differences above in the features and specs. The most noticeable difference is that the Premium model includes the removable high-capacity ash catcher on the bottom of the grill. Naturally, you can still get your spent ash out of the grill without it, but this makes removing and disposing of ashes a lot easier than without this feature. Also, as noted above, only the premium model comes with the hinged grate. This is a pretty key feature difference if you expect to be cooking longer than about an hour at a time or so. The hinged grate lets you add (or remove, for that matter) charcoal from the kettle without having to completely remove the cooking grate. 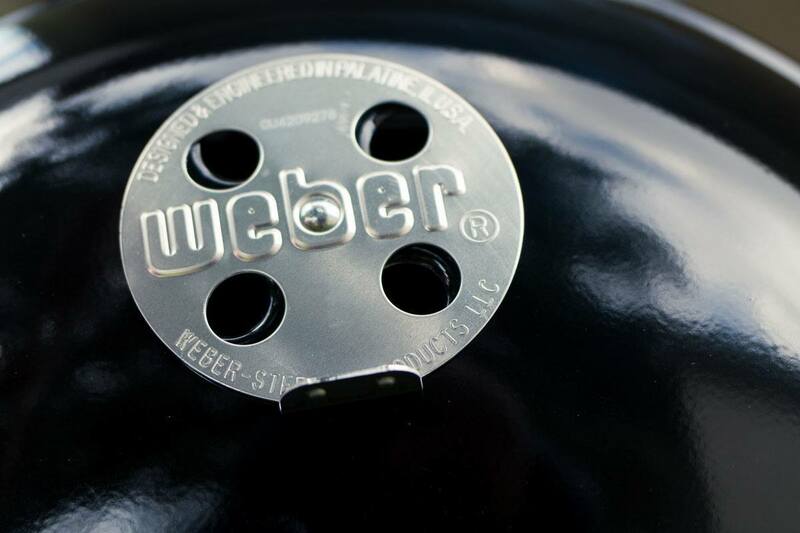 The Premium model is also 2 inches wider than the standard model, according to the specs on the Weber website. It's not a huge difference in size, and according to the cooking area, it doesn't seem to provide any additional cooking surface. The last difference really are the available colors. The standard model is only available in black, while the Premium has three additional color options. Overall, and as expected, Weber makes a really solid grill. There aren’t too many surprises when you purchase a grill from Weber, and that’s part of the reason for paying a little extra. In this case, you’re paying for more than just a name. On the down side, the porcelain coating on the shell seems a bit thin to me. I dropped the lid (only about a two feet or so) and the shell’s black coating chipped off. It may have just landed wrong, but it seems like it should have been able to take a drop like this a little better than it did. I also felt the plated steel grate wasn’t quite what I would call “top notch” construction, but it’s still adequate for a home grill. Lastly, it was a bit disappointing to have to purchase the “Premium” model in order to get the hinged grate feature. It may seem like a small difference, but if you’re cooking for any length of time, this is a must-have feature. Click any photo to view a larger version. What do you think? Have you used this Weber Original Kettle grill or other Weber grills? Leave your thoughts below!